Cambria by includes dozens of luxurious as well as practical features in a robust class C design. Choose among options like a 4,000-watt Cummins Onan Microquiet gas generator, MaxxAir powered ventilator fan, solar panel battery charging system and Ultraleather furniture. Cambria features three distinct and intuitive floor plans all with available upgrade packages. 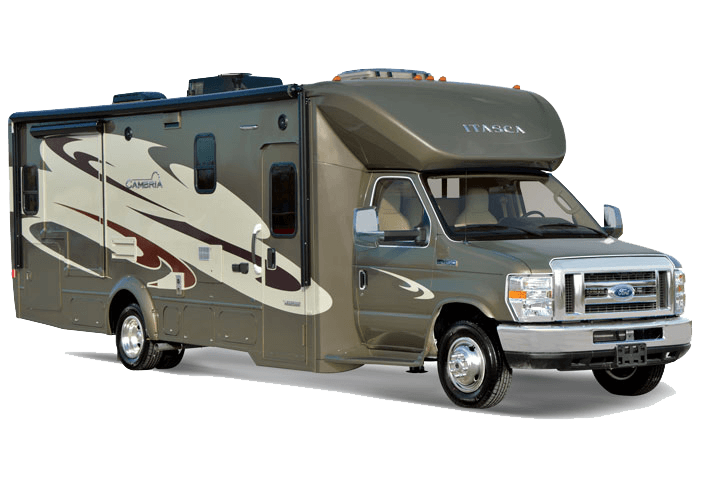 Enjoy decorative galley back splashes, large living areas, and tons of storage space all in a maneuverable class C motorhome.